yummyforyourtummy♥ – Delicious and easy recipes to feed your creative hunger, as well as your friends! 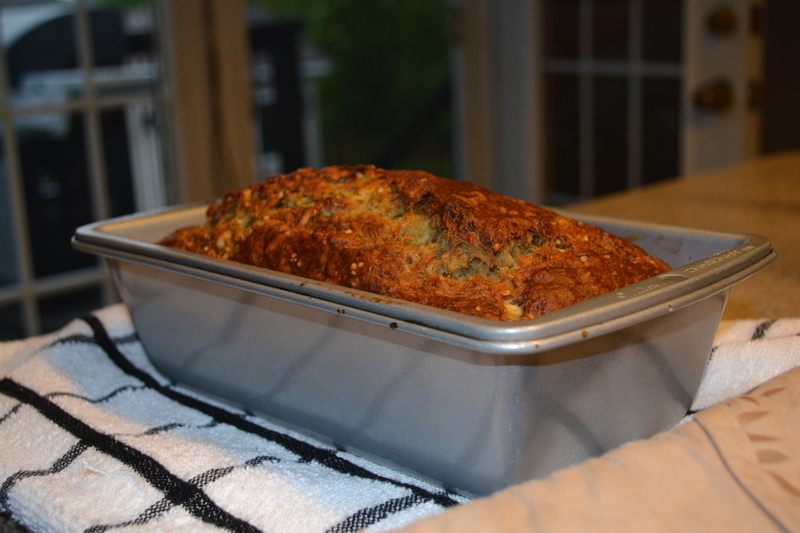 This delicious recipe came to me as I clasped on the brink of brainstorming on how I can enjoy a warm, flavourful breakfast bread, but steer clear of a dry taste. As I was making this batch, I thought to myself, “What can kick this up a notch, and make it more savoury without compromising moisture?”. Then it came to me. Like a kick in the face as I opened up my fridge to fulfil my curiosity – old fashioned applesauce. Considering most of this week considered of soft and soluble foods as my intake due to my illness, I had a whole batch whipped up. Good luck, or a series of unfortunate events? 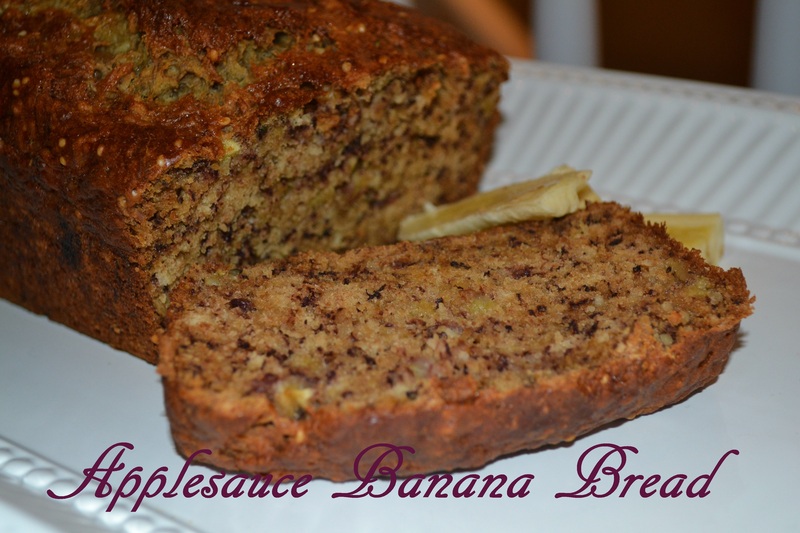 Either way, applesauce is what took my usual banana bread over the edge and extra tasty! 1. Mash ripe bananas in a medium size bowl. Add melted butter and mix. 2. Add sugar, egg, applesauce, hemp seed, cinnamon and vanilla extract. Mix. 3. 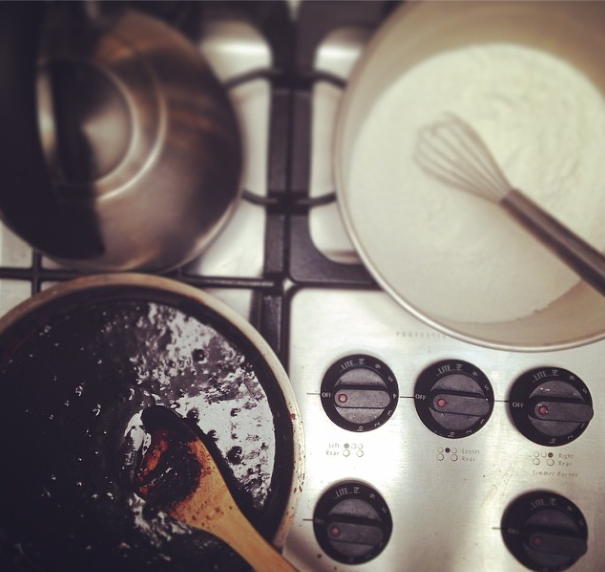 Mix in baking soda and flour until fully combined – should have the consistency of thick cake mix. 4. Lightly grease loaf tin, and pour in batter. 6. Let cool for 10 minutes, then run a butter knife along the edges and flip over onto tea towel. Tip: Best when served fresh and still warm. If your making this in advance for the week like I do, wrap in plastic wrap and keep it in a cool place to lock in the moisture. Slice, and heat in the microwave for 30 seconds when you want a quick and warm breakfast meal! This fast and easy Open-Face Prosciutto and Turkey Sandwich is great as an appetizer cut into bite-size meals, or when close-faced as a snack for the beach! 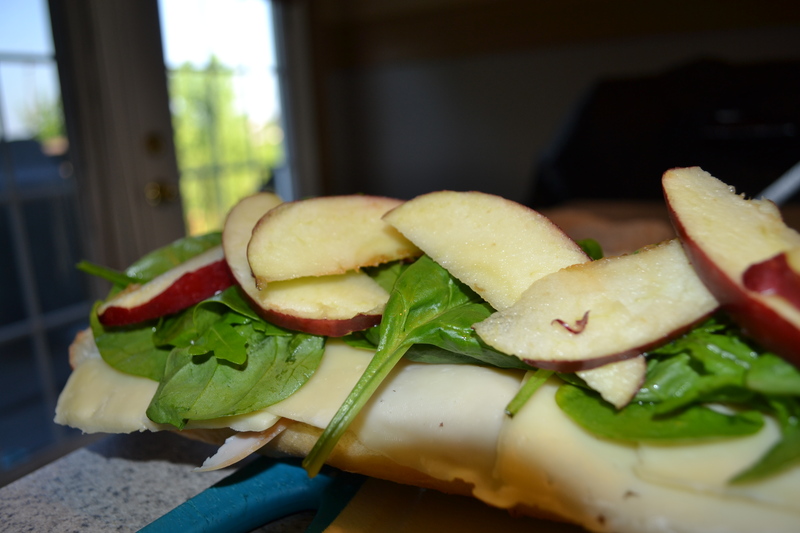 Filled with crisp apple, baby arugula, salty prosciutto, turkey, and tangy Havarti, it sure beats goldfish in a box (which I also love). 1. Butter bread, and layer. 2. Top off apple with lime juice. 3. Use optional halve of bread to top and cut into 12 bit-size sandwiches! Even dogs deserve a well thought, delicious meal! This post comes as an inspiration for my dogs 13th birthday – Ralph. Ralphie. Sir Barkington. Poopie. And on days where he is driving me crazy, Mutt. So, I decided that in his ripe old age of 13 (that’s 91 in dog years), he deserved a birthday cupcake to top any dog treat I could have ever bought from a department store. This peanut butter and carrot cupcake is sure to please any furry friend you may have, and is sure to keep that look in your pet’s eyes that melt our hearts in the most undesirable situations. Happy Birthday to my Mutt! He got into the garbage today. 2. In a blender, grind dry dog food until it is a fine consistency, like flour. 3. Next, in a small bowl mix the dry dog food, baking powder, honey, egg, and oil. 4. Add shredded carrot into the mix. 5. Oil down a cupcake pan, and place scoops of the mix into as many holes as possible, until they pill to the topped, packed down. Should only be 2 holes. 7. Let cakes cool; next, slice cakes in half. 8. In a piping bag (or ziplock bag), layer cakes in between with rest of smooth peanut butter. 9. 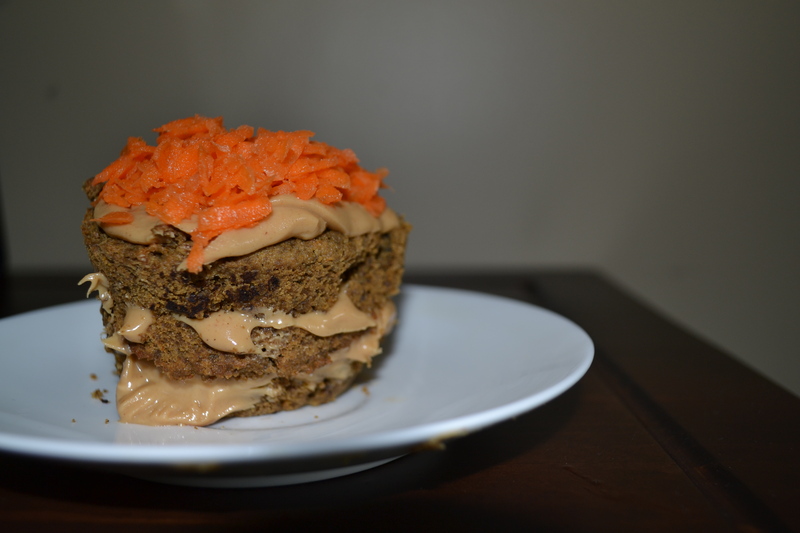 On last layer, top with peanut butter and shredded carrot once again. Hello all! I’ve been super busy lately with work, writing, and planning a beautiful trip to Europe! Oui, it is true! I am finally travelling overseas for my first trip to Paris and London. And with such cities as architecturally beautiful as Paris and London, one must also equip themselves with new accessories to capture these moments…like a new camera! Yes, on top of a trip to Europe (which my wonderful boyfriend has planned), I have ventured into the world of photography with my first DSLR camera, the Nikon 3100. Not only will I now be capable of capturing the lush green pasture of Paris’ Jardin du Luxembourg, but I will now have higher quality pictures for all of you readers to better present my delicious and fun recipes for you to view! On that note, I bring to you a little appetizer I created today in the midst of my daily mayhem – my Roasted Tomato and Buk Choy Crustini with Tzatziki Dressing. 1. Lay out the bread on a cooking sheet, and drizzle with olive oil. Sprinkle minced garlic evenly over pieces. 3. Next, dollop a small spoonful of Tzatziki Dressing onto each piece of bread. 4. After rinsing the Buk Choy, chop off ends and arrange leaves evenly on all pieces of bread. 5. 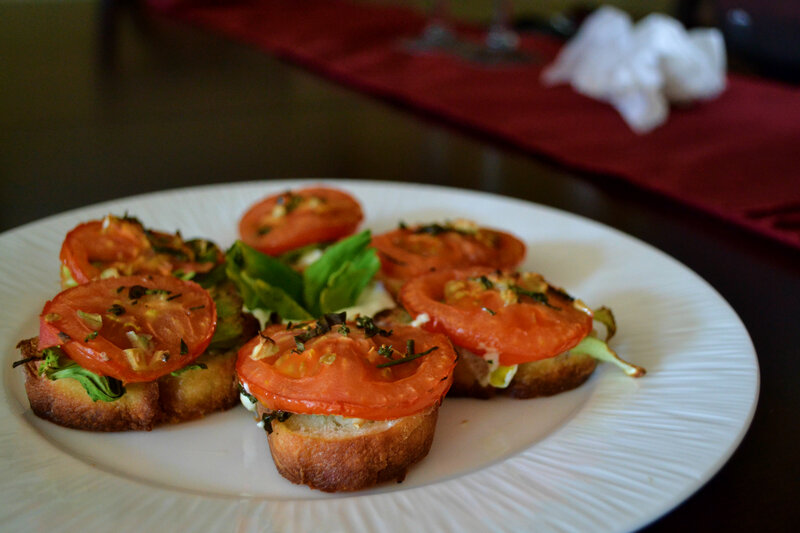 Place 1 slice of tomato on each piece of bread; next, finely chop basil and thyme. 6. 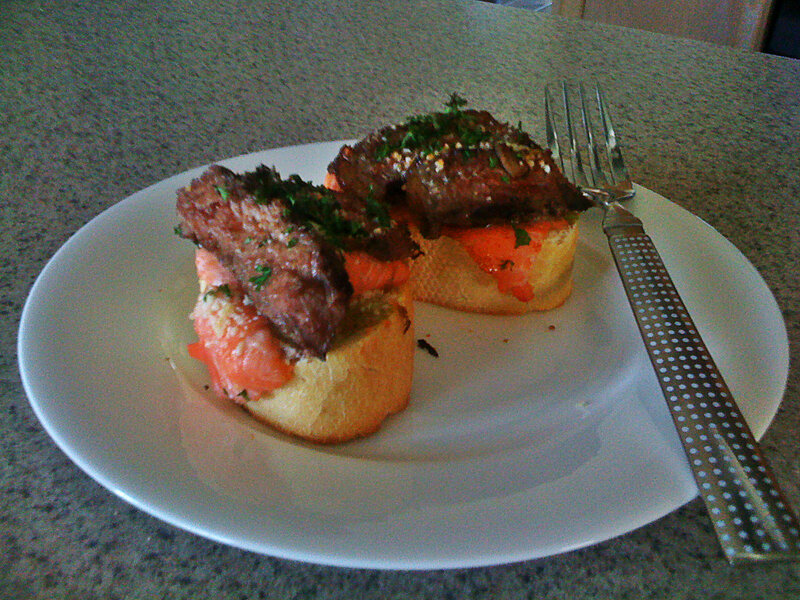 Sprinkle freshly cut herbs over bread and dash each piece with a pinch of sea salt; drizzle with olive oil once again. So this is what a computer looks like! I must apologize for my absence – between work, summer festivities and lack of access to a working computer, I’ve gotten a case of lazy-blogger. But I’m back, and filled with more fun summer recipes and fantastic Eats and Beats news to post about! My next recipe comes to me with the inspiration of a juicy fruit dish that reminds me a little bit of Autumn mixed with sweet summer taste! Delicious just by themselves, topped over ice cream, coconut pie, or in this case, warm french toast – poached peaches are an aromatic dream full of spicy herbs and red wine goodness that is sure to be a crowd-pleasing accent to any outdoor party! Serves: 4 slices delicious french toast! 1. In a medium size pot, bring water, wine, sugar, cloves, and cinnamon sticks (and mint leaves) to a slight boil. Turn down the heat to medium. 3. Cover pot with tinfoil, and poke a couple small holes. 4. Let poach for about 20 – 25 minutes. 5. Remove foil, and transfer to a bowl to cool down. 8. Melt butter in a medium skillet until it just starts to bubble on medium heat. 9. 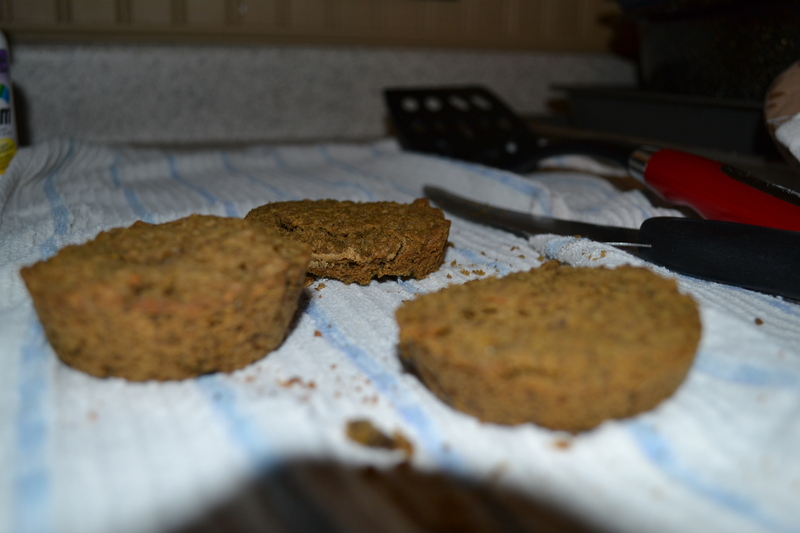 Cooking two at a time, coat slices of bread in egg wash mixture. I like to leave mine soaking for about 20 – 30 seconds. 10. 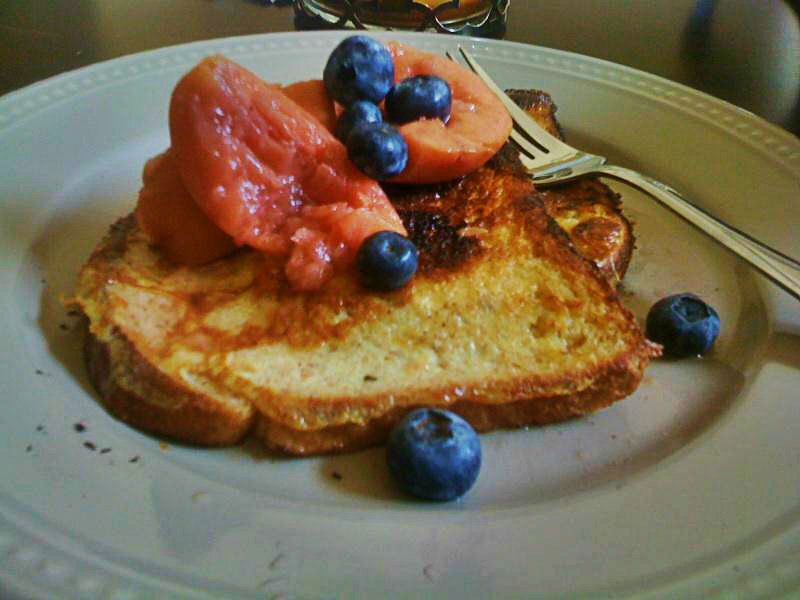 Cook both sides of bread in the skillet – adding more cinnamon on top if you prefer – until golden brown. 11. 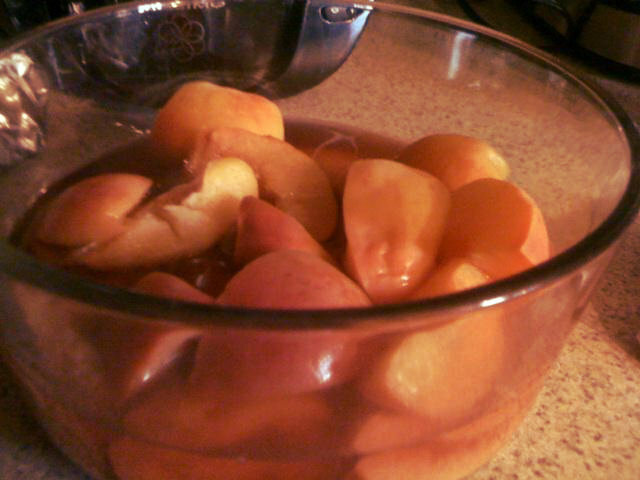 Transfer desired slices to plate and top off with handful of poached peaches! I love the peach juice to coat mine, but a dollop of maple syrup and whipped cream is a sweet touch to your dish! Happy May! Finally, the warm weather is here, and what better way to cool off then with a crispy, cold, healthy snack! Everyone loves bananas. Everyone loves peanut butter. When you combine the two in a frozen bite-size snack – ultimate goodness! These are my Frozen Banana and Peanut Butter Bites : ) Topped with cinnamon and brown sugar, this makes the perfect sweet, and healthy, summer-time snack! 1. Slice the bananas into thin pieces – this should amount to about 24 slices. 2. 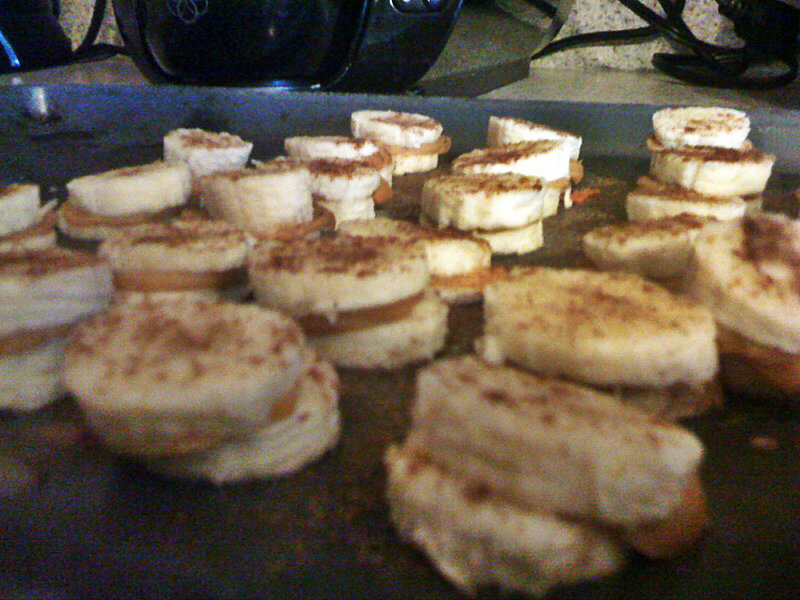 Place half the banana slices spread out on a baking sheet. 3. Dollop about half a teaspoon of peanut butter onto each slice. I use a piping bag for a more accurate effect, but to each their own. 4. Top off each banana slice with another to make a perfect little sandwich! Sprinkle each bite with cinnamon and brown sugar. 5. Place uncovered in the freezer for about half an hour, or when ready to eat. Placing these in the freezer will not cause the banana to freeze, but to simply harden. This is much less messy, and far more delicious! Here in Windsor it is April 24th – and still 40 degrees fahrenheit. By now, I have envisioned most of my cooking to consist of outdoor barbecue favourites, like Beef and Vegetable Skewers paired with a nice Garden Summer Salad and my Peach Champagne Bellini’s. But on this cold, rainy day I am forced to use my oven as my virtual barbecue. Despite my desire to cook in my bathing suit to, at least, fake myself into thinking we have hit hot weather.. 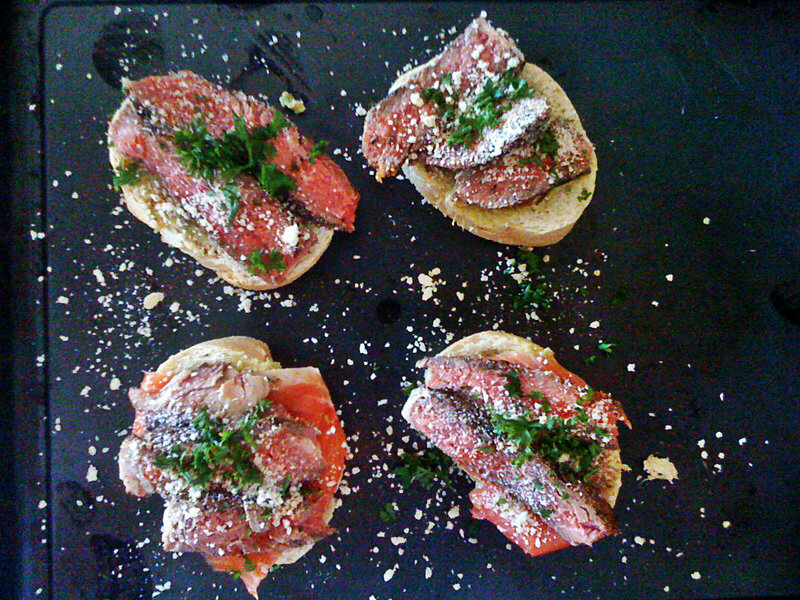 I instead cooked up a baked Steak and Smoked Salmon Crustini with a Horseradish and Avocado Pesto. Delicious as an entrée paired with a Cucumber and Tomato Salad, or as a bite-size appetizer! Envision, and Enjoy! 2. In a food processor or small blender, add the 4 halves of avocado, horseradish, garlic cloves, and juice of the lemon. Blend until smooth. 3. Lay out all pieces of sliced baguette (should be about 12 or 13) on baking sheet. Spread avocado and horseradish mixture across each piece. 4. Next, layer on one slice of smoked salmon for each piece, then pieces of steak, and Parmigiano cheese. 5. Bake for about 5 – 7 minutes, or until steak starts to bubble and pop. 6. Remove from oven, sprinkle with cilantro, and serve!! TIP: Don’t overbake the crustini – as soon as you see the smoked salmon start to cook and turn white, it looses the texture. Sugar. Check. Flour. Check. Eggs. Check. Baking Soda – We have a problem. I can’t tell you how many times I have underestimated my pantry stock (also reason #287 why you should have all your ingredients prepared before starting to cook or bake), and thus, have come to a fork in the road when I am missing a key ingredient. This is most especially crucial when it comes to baking, which comes down to basic chemistry in order to produce a successful result. But once question I have asked myself numerous times, and have been asked in return, is what is the difference between baking soda and baking powder, and can I substitute one for the other? The answer lies in science. Baking soda is pure sodium bicarbonate. When baking soda is mixed with something acidic (such as buttermilk or yogurt) and moisture, a chemical reaction occurs in which bubbles of carbon dioxide form. Under the hot oven temperature, heat expands this process and this is what makes baked goods rise. Because this reaction occurs as soon as the ingredients are combined, recipes that call for baking soda must be baked immediately or they will fall flat. Baking powder also contains sodium bicarbonate, but the acidifying agent, cream of tartar is already present. Two types of baking powder are available for baking use – single-acting baking powder and double-acting baking powder. Single-acting baking powder is activated by moisture, and therefore must be baked immediately after combining. Double-acting baking powder releases the carbon dioxide in two stages. The first, when the ingredients are combined at room temperature; and the second, when it reacts to the hot heat of the oven. Essentially, mixtures with double-acting baking powder can stand out longer before baking. So when do you use baking powder or baking soda? It all comes down to taste and ingredients. Baking soda has a bitter taste, and needs to counteract with an acidic ingredient like buttermilk or yogurt – this is especially found in cookie recipes. Baking powder on the other hand has both a base AND an acid, and in effect has a neutral taste – this works best with ingredients with neutral-taste (like milk) in recipes such as cake and biscuits. Because the ingredients directly affect the chemical reaction, it is possible to use baking powder when the recipe calls for baking soda, but it is not beneficial to use baking soda when it calls for baking powder because the recipe most likely lacks the acidifying ingredient. It is possible to make your own baking powder with baking soda by adding cream and tartar. Finding the sweet spot for the perfect chocolate chip cookie can take a lot of time and practice – too dry, too wet, too flat, too puffy, not enough chocolate chips, too many chocolate chips (as if such a thing exists). 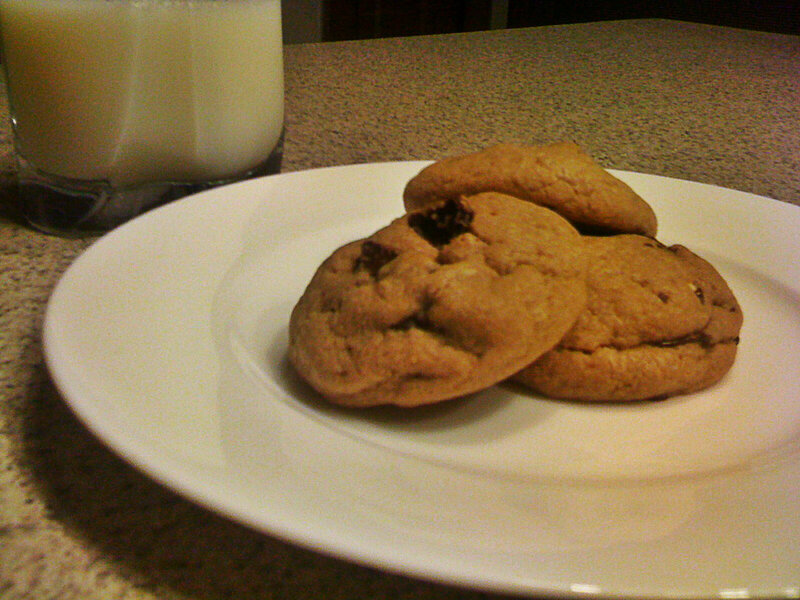 This recipe is one I have used for years and find to be the closest thing to cookie heaven! 2. Making sure the butter is at room temperature, cream together the butter, sugar, brown sugar, eggs, and vanilla extract with a mixer. 3. 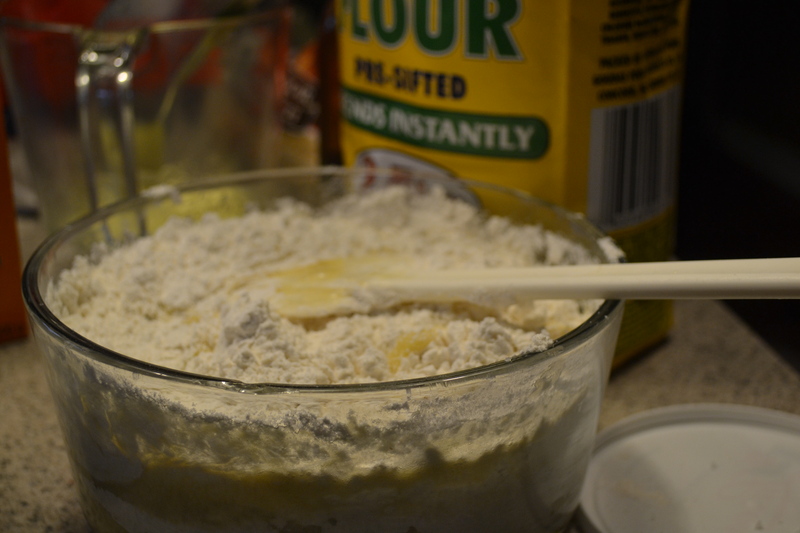 Add in the flour, baking powder, and a pinch of salt. 4. Next, fold in chopped chocolate. 5. Beat together until all the ingredients are combined evenly. 6. Chill mixture for a few hours in the fridge, or even overnight if you’d like. 7. Next, take chilled mixture out of the fridge and roll into small balls about 1 inch to 1.5 inches in diameter (see above). 8. 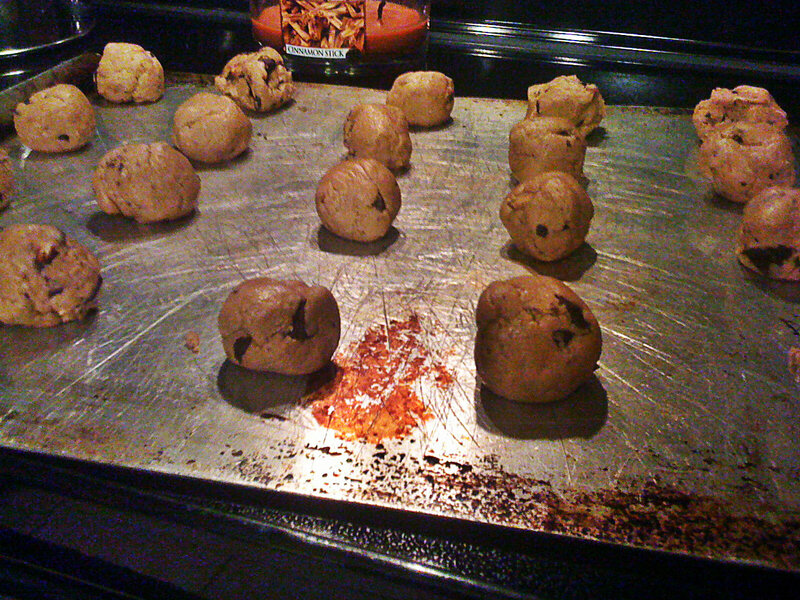 On a greased baking sheet, bake cookies for about 10 – 12 minutes, or until slightly golden brown. 9. Let cool for about 10 minutes, and enjoy with a tall glass of cold milk! TIP: For more chocolate-y goodness, add in 1/4 cup melted dark chocolate into your mixture when you cream the sugar, vanilla, butter and eggs together. Then, proceed to add the dry ingredients as normal. Yumm!